Since 21 April 2015, LFV has provided remote air traffic control at its Remote Tower Centre in Sundsvall. With around 4,000 recorded operational hours, LFV has acquired a unique experience that airports around the world can benefit from. “LFV realised its vision in cooperation with Saab. LFV is not only the sole provider of active Remote Tower Services at present; we are also the only actor with operational approval. RTS has allowed us to make aviation history and show that LFV is an innovator and is at the forefront of Remote Tower Services,” says LFV Director-General Olle Sundin. 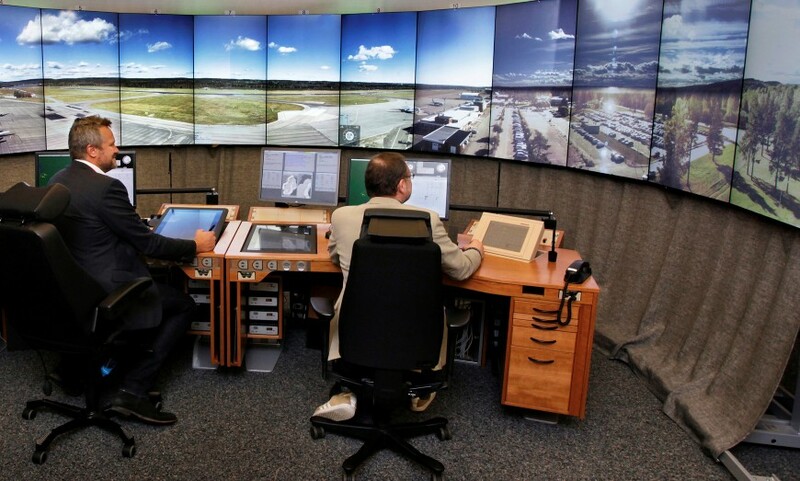 Örnsköldsvik Airport became the world’s first airport to feature Remote Tower Services. Sundsvall Timrå Airport will become the second in the autumn of 2016, and the following spring will see Linköping City Airport connected to the Remote Tower Centre. “After one year with RTS I can conclude that the Remote Tower Services have worked exactly as expected. That is to say, that there is no detectable difference since the switchover. Safety and efficiency are as high as they were with conventional air traffic control,” says Robert Gyllroth, CEO of Örnsköldsvik Airport. According to LFV’s plans the first multiple RTS, will be launched in 2018. That means that one air traffic controller handles two or more airports. “It will be almost as big a milestone as when Remote Tower Centre was launched,” says Olle Sundin. The Remote Tower Centre now has 4 000 of recorded hours of operation. These hours, as well as related experiences, allow LFV to further develop its Remote Tower Services. The airports can utilise the digitisation of RTS to develop and increase the efficiency of their operations not only in air traffic control but in other areas. There is a huge amount of international interest in the Swedish developments and in LFV. In just the first two months of the year, five international delegations have visited Sundsvall. In total, there have been thousands of visitors from around 50 countries. “There was a lot of interest before we had even launched the Centre, but we can see a clear increase after last year’s World ATM in Madrid and the launch on 21 April 2015,” says Olle Sundin. Today, 8 March, whilst attending the World ATM Conference in Madrid, LFV proudly proclaims “One Year in Operation” for the Remote Tower Centre in Sundsvall. It will also include a live broadcast from the RTC.